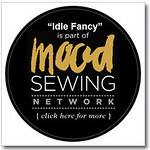 Idle Fancy: The Curvy Sewing Collective Has Arrived! The Curvy Sewing Collective Has Arrived! No, not Frankenstein's fire-averse monster, but something infinitely more exciting: the Curvy Sewing Collective website. After months of brainstorming and hard work, curvy sewing finally has its very own home on the web. The project started earlier this year, when Jenny and I were bemoaning the lack of online plus-sized sewing resources. With such a goal in mind, we teamed up with our favorite fellow curvy bloggers, to bring the internet exactly that. 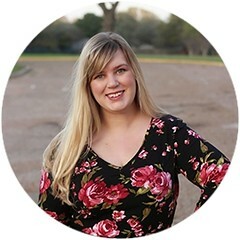 We wanted a one-stop place where curvy sewists could find inspiration, fitting help, and connect with other similarly proportioned seamstresses. Over at the CSC, you'll find all manner of interesting posts regarding plus-sized and curvy sewing. We have pattern reviews, tutorials from expert seamstresses, plenty of sewing inspiration, and even a forum dedicated to the plus-sized sewing community. It can be difficult for curvy seamstresses to find patterns that fit their bodies and tutorials tailored to their needs, which is a gap we hope to fill in the coming months. That's enough of my chatter over how awesome the CSC is, however. Why not go check it out for yourself? As a celebration of our launch, we're even giving away a copy of Colette's latest pattern to one new reader!